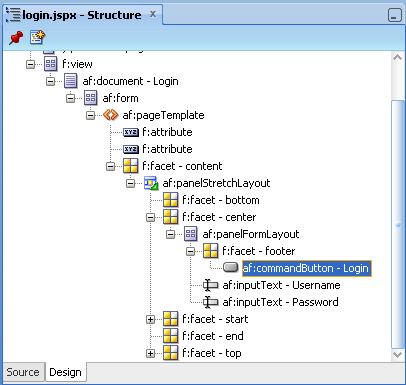 When you generate new WebCenter 11g PS3 Portal Framework application in JDeveloper 11g, it creates login/logout pages and configures ADF Security. 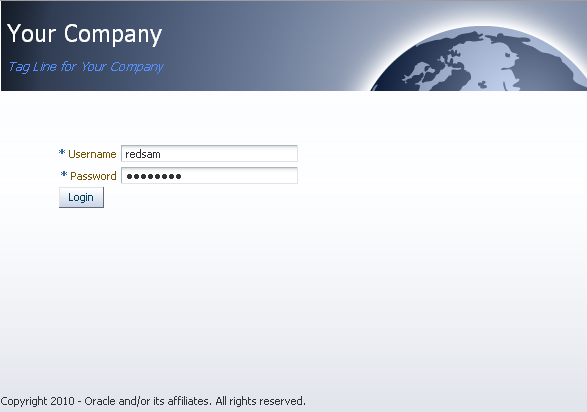 However, it generates basic login page, this can be improved by using new WebCenter 11g PS3 security login bean. 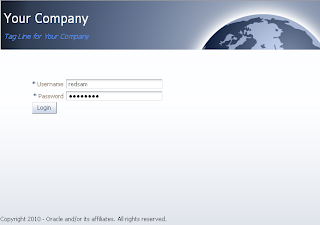 With WebCenter 11g PS3, we have out of the box bean (o_w_s_l_LoginBackingBean), which can handle login/logout functionality without writing any custom code. Thank you for the posts as being a noob in Oracle Webcenter Portal Application and ADF, I am facing a real hard time in understanding ADF and a WC Portal App. To be true, I am completely new to both the technology. 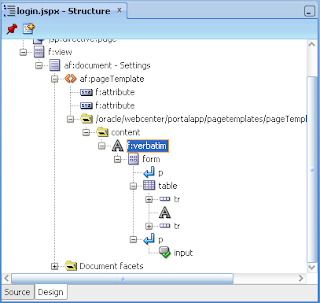 If you could point to some documents on Webcenter application and adf either than that of Oracle itself, it would be of a great help to me. Hi, Andrejus. Great blog - I have learned a lot from you! I have an interesting dilemma that I hope you might have a minute to point me in the right direction. It successfully logs the user in, but doesn't seem to follow the "action" and navigate to another page - it instead leaves the user on the public 'home' page. 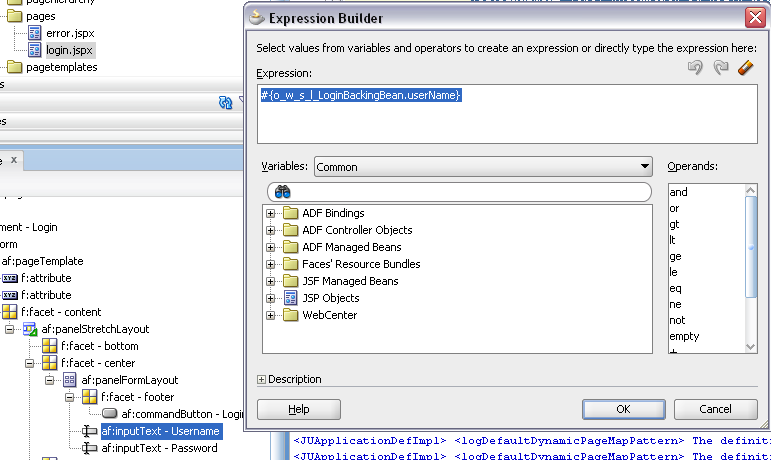 It calls loginBackingBean.doLogin and logs the user in, but doesn't then navigate to the "page2" action defined in my task flow. This post was very helpful. I need one help from you though. My requirement is, that a user should be able to register at the portal and at the end of the registration the user is automatically logged in to the application with the user name password. The users are getting created but not getting logged in automatically. 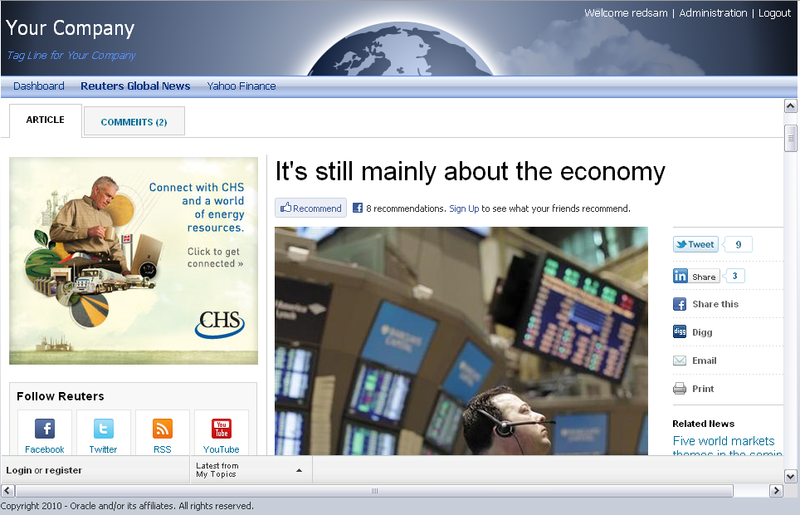 The page goes back to the unathenticated home page. When I login manually everything works fine. We are using the same o_w_s_l_LoginBackingBean to do this work. Can you think of any reason why this may not be working? Your posts have been very helpful. If you may guide me out in this matter regarding the o_w_s_l_LoginBackingBean.. I have a client that needs user lockout after 3 wrong attempts that my team have successfully set. 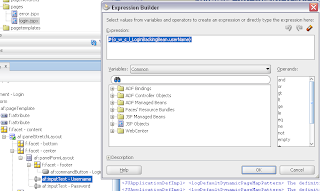 Prob is that, the message provided by o_w_s_l_LoginBackingBean during login is same whether the user is locked or entered the wrong credential.. client is asking to output different message for user lockout..
Is there anyway to set this in o_w_s_l_LoginBackingBean.. or any other workaround for this? 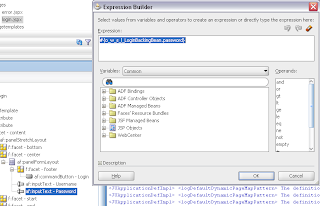 How WebCenter process the parameters (Login and Password) in the application? Have any filter or file who makes some is called? Just a curious question, please. 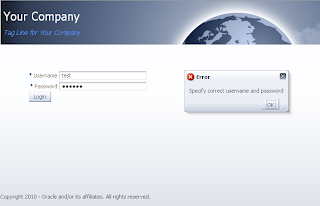 Suppose you have deployed your webcenter portal solution and gave it to the customer, can they still customize the loginpage and error page on their own? As I know, portal in JDEV11G PS5 uses form login. So if I have packaged my portal project in an ear and I have already set my login/error page in the ear file and then the customer deployed it in their weblogic environment, there is no other way for the customer to customize the login/error page anymore? No - you cant customize it. Redeployment is needed. Unless you have enabled WebCenter Composer for these pages, I hope you didnt (it will slow down these pages). 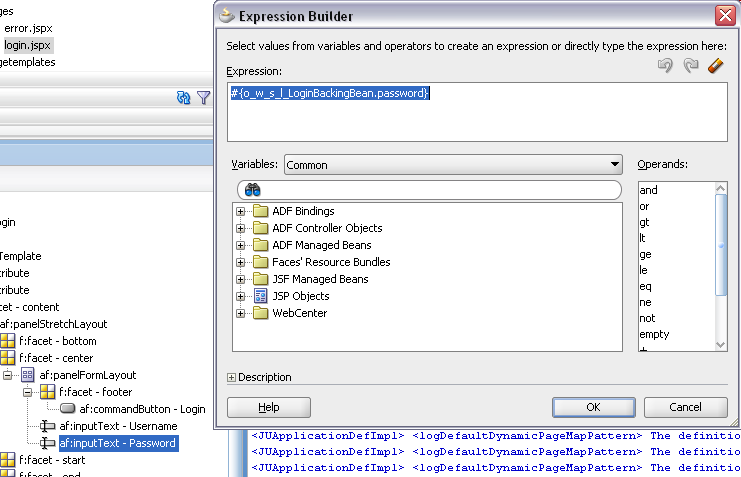 How can I get the required error code from doLogin method?